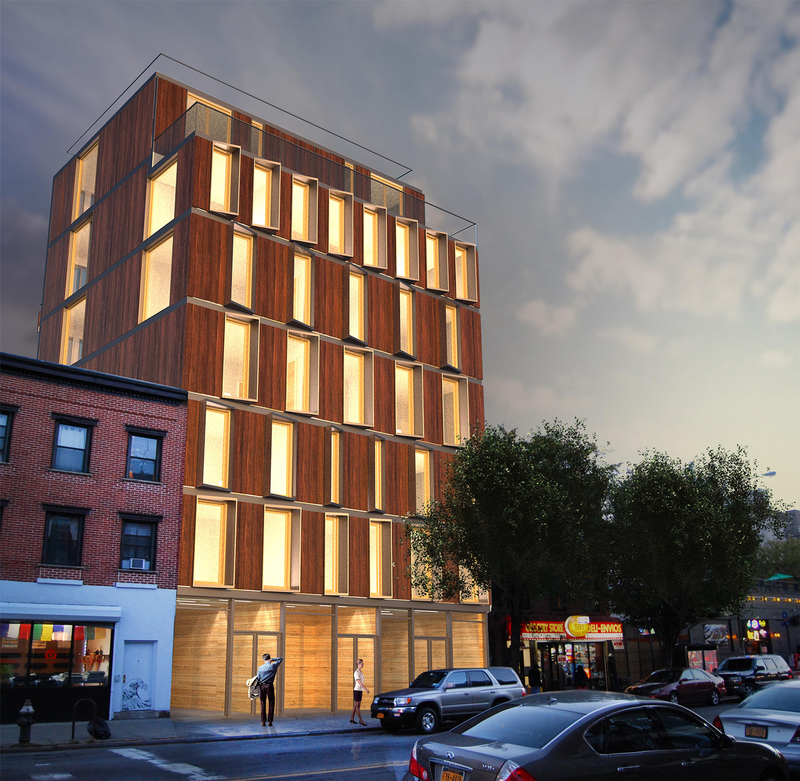 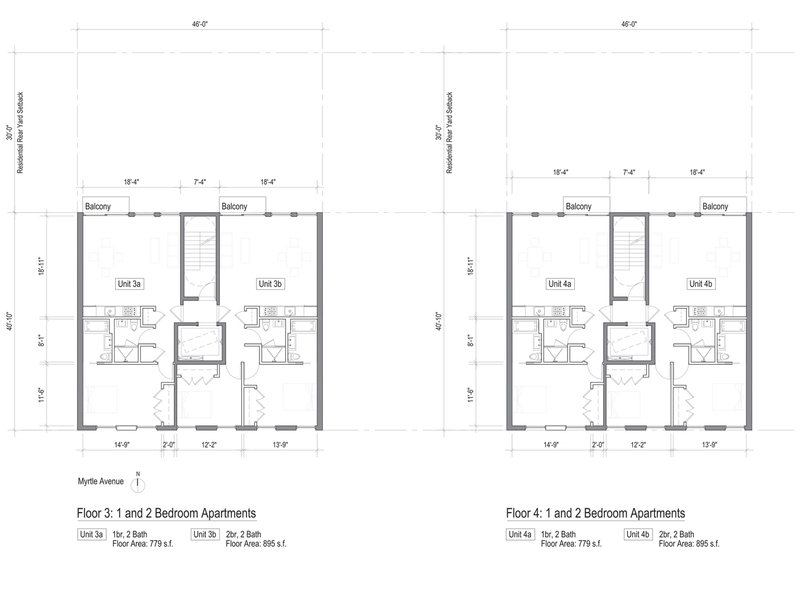 598 Myrtle Avenue will be a new 12,000 s.f. 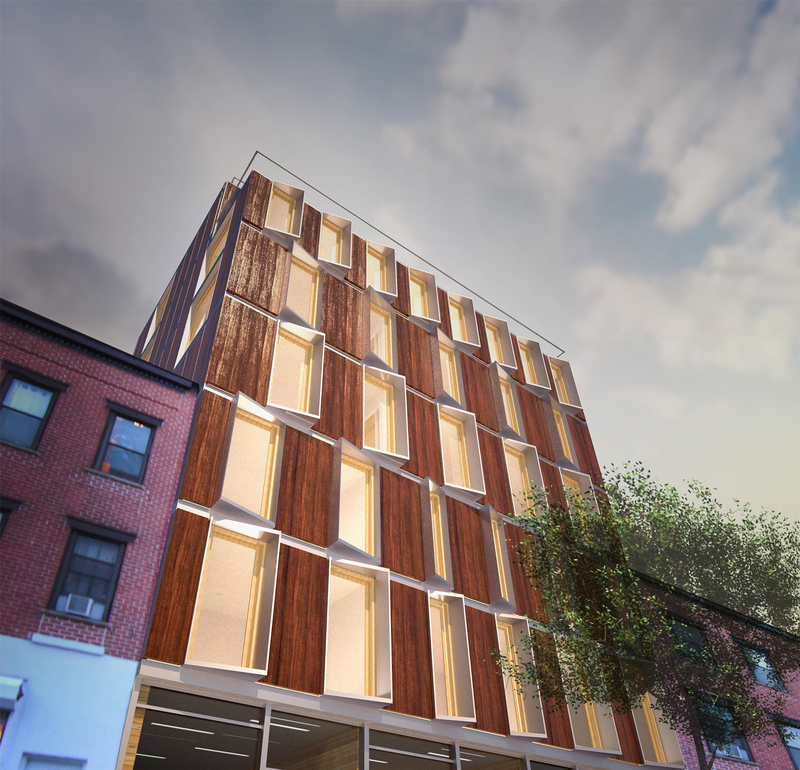 mixed use building in the R7B development district in Clinton Hill, Brooklyn. 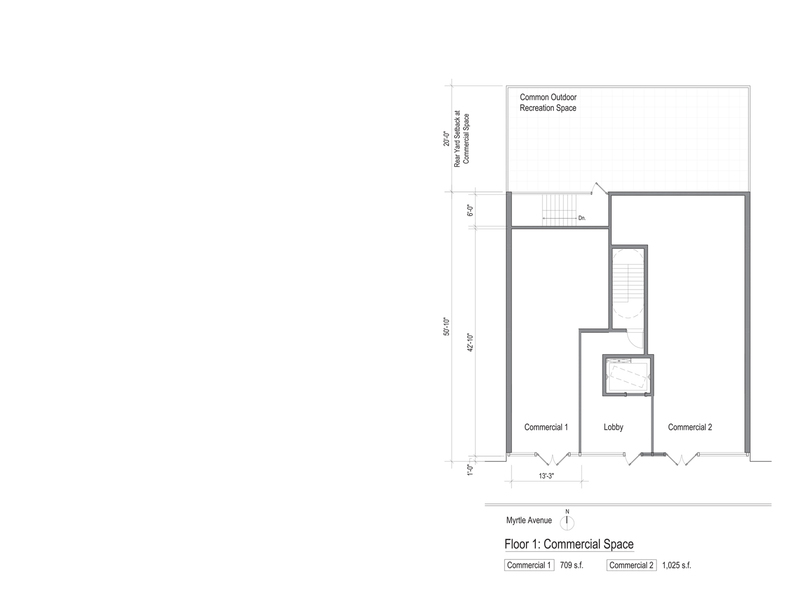 The site is a shallower than normal 70 foot deep lot, which results in a 40 foot deep building after provision for the required 30 foot rear yard. 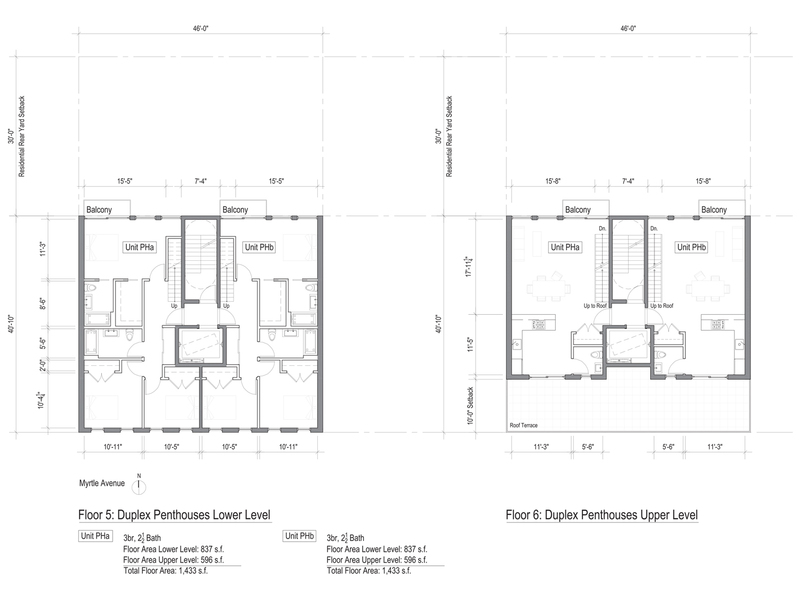 To account for the small floor plate, the building will be configured as a 6 story structure to allow for a single fire stair to save floor space. 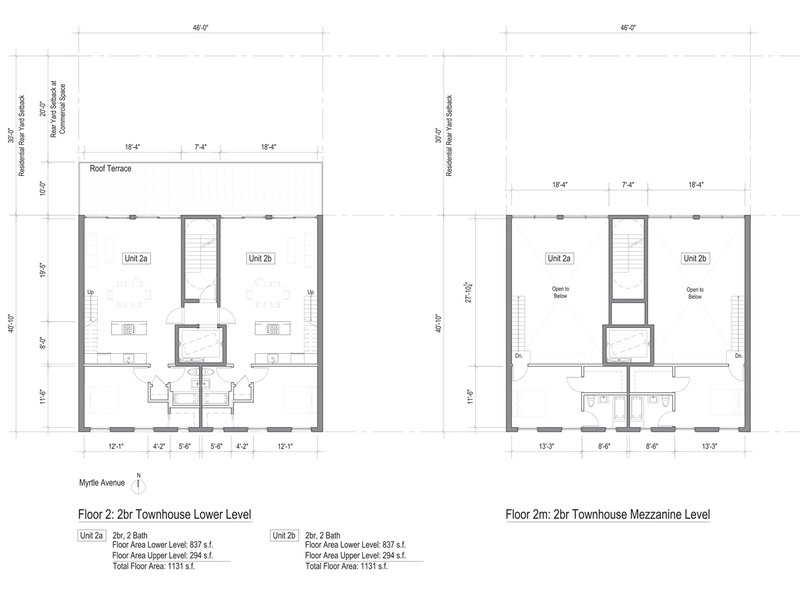 A mezzanine is then inserted into the 2nd floor unit to create a duplex townhouse. 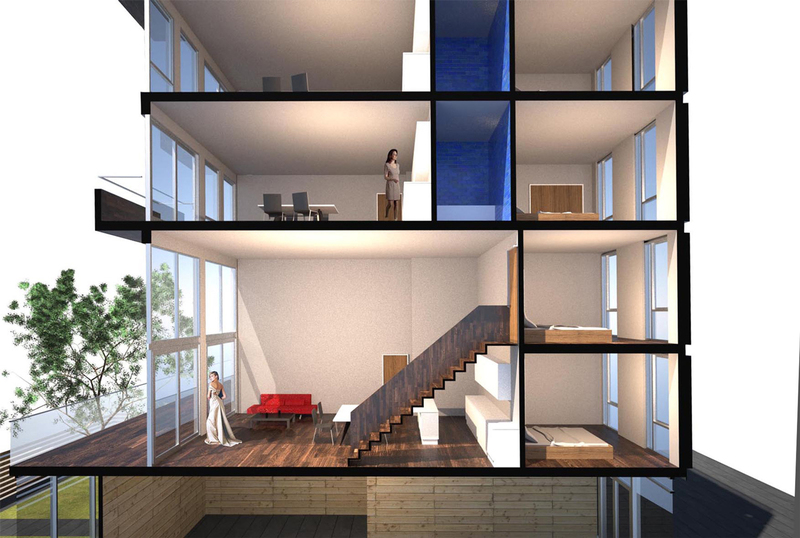 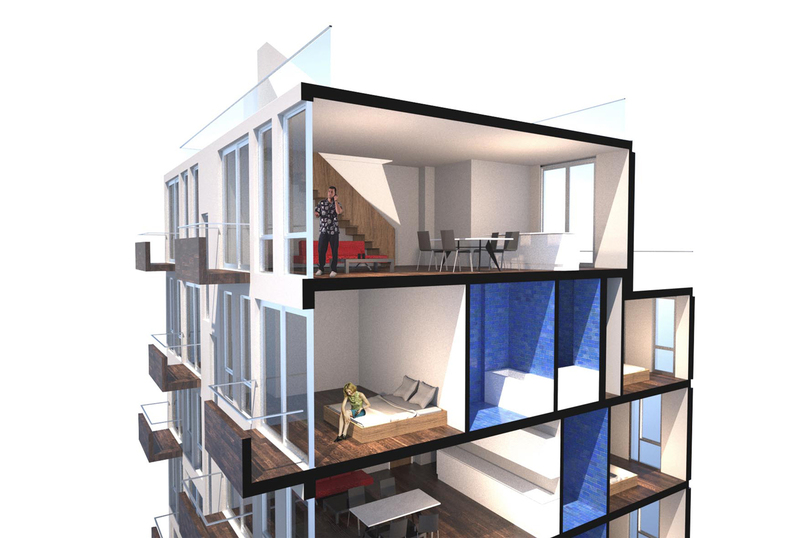 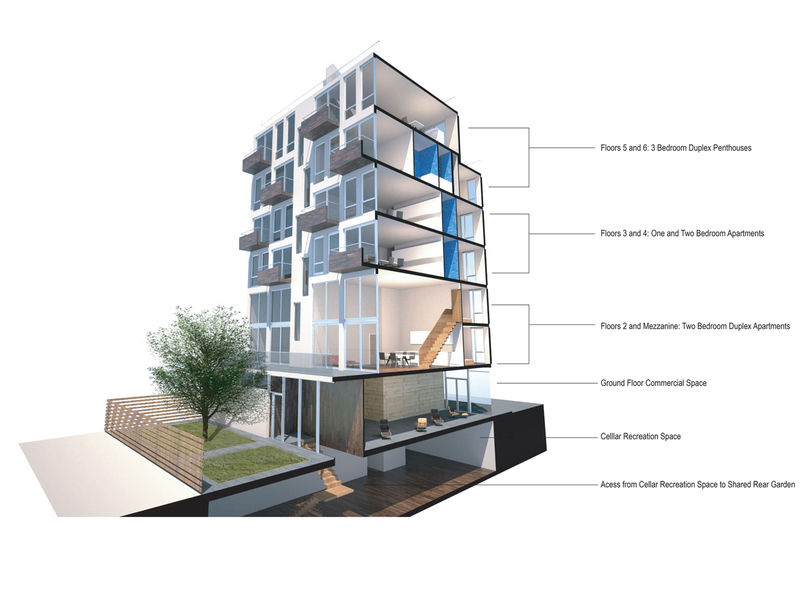 Floors 3 and 4 are one and two bedroom apartments, and the building is topped off with a duplex penthouse, inverted with three bedrooms on the lower level with living space above adjacent to the setback terrace.